New car innovations and technology can be exciting for those in the market to buy, or those just interested in the auto industry in general. What are people buzzing about now? Hot topics right now include: hybrid cars, GPS, the effect of new technologies on driving, the rules on using them, where to find new tech and how to get high-tech cars cheap. Climbing fuel prices are driving more and more to purchasing a hybrid vehicle, but before you jump on the bandwagon, consider your own driving habits. If you do a lot in-city driving, hybrids get better mileage, but if more of your driving is on highways, you aren’t going to see a significant change to your pocketbook. Hybrid cars use a combo approach for fuel–both a gas-fueled engine and an electric motor for propulsion with a energy-full battery. Wondering which hybrid cars are the most reliable? U.S. News and World Report just released their list of Top 15 contenders. Think GPS units are no longer used since the cellphones entered the scene? Think again! Some of the best models can do things a phone just can’t–yet. “GPS manufacturing companies offer drivers advanced assistance features with bluetooth connectivity, geo-based recommendations, voice commands, and much more on large HD displays,” reports DigitalTrends.com. Another thing to consider, GPS units won’t affect your data plan or monthly cellphone bill. No Wi-Fi required. Upgrade your current vehicle with new GPS tech or look for a car with that comes with the best in-car GPS options to find what you need. “Every aspect of the auto industry is being reshaped by technological innovation, and it’s opening the traditionally closed supply chains that car makers have relied on for at least a century, creating more opportunities for startup vendors in areas like sensors, software, services and, yes, even electrification,” says TechCrunch.com. For companies to compete, they have to start thinking out of the box. Artificial intelligence and nanotechnology is just the beginning of what we are to see within the auto industry. iRobot-like scenes may be closer than we previously thought. Let’s face it. We are living in a world of high-tech everything and cars are no exception. Consumers can now benefit from automatic emergency braking, automatic climate control, internet connectivity, smartphone connections, Apple CarPlay and Android Auto. Other top features to keep in mind? Infotainment interfaces and embedded, tethered or hybrid connectivity. 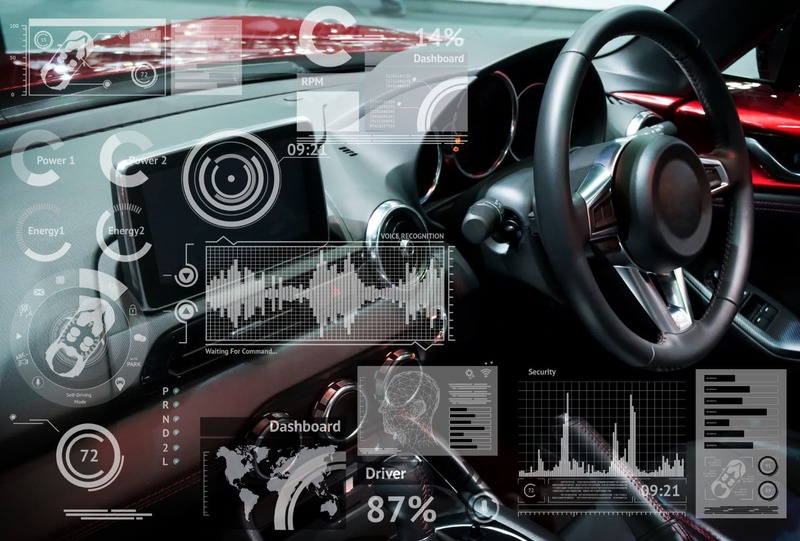 Embedded connectivity means there’s a modem in the vehicle (and a subscription is usually required) to connect to the cloud. Tethered systems leverage the connectivity—and data plan—of your portable device by syncing to the car’s infotainment system. Hybrid system use embedded connectivity for critical functions such as automatic crash notification, and tethered connectivity for infotainment apps. When it comes to audio, bluetooth, navigation, power, and safety cars are all over the board. US News and World Report shares their thoughts on 14 cars that will stretch your dollar. Have More Questions About New Car Tech? Give Us a Call! If you have questions about the latest and greatest car innovations and technology, give us a call. Scotts Fort Collins Auto can help answer any specific questions you may have. Deciding on purchasing a new car begins with having all the facts. Understanding some of the technology behind the wheel and inside the wheel can make all the difference in your decision for what is right for you and your needs! Call Scotts Fort Collins Auto today at (970) 682-4202 for a tune-up and a discussion on the future of self-driving cars!